The Sun is indispensable for the existence of life on the planet: it is responsible for the water cycle, photosynthesis, etc. Already the first civilizations realized this and, as civilizations have evolved, they have also evolved techniques to harness their energy. At the beginning they were techniques to take advantage of passive solar energy, later techniques were developed to take advantage of solar thermal energy, and later solar photovoltaic energy was added. Throughout the history of solar energy, the Sun has always been an essential element for the development of life. The most primitive cultures have been taking advantage indirectly and without being aware of it. 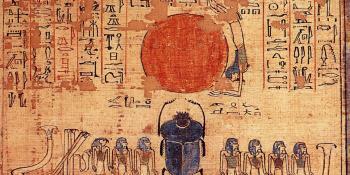 Later on, many more advanced civilizations realized the importance of the Sun and developed numerous religions that revolved around the solar star. In many cases, the architecture also had a close relationship with the Sun. Examples of these civilizations would be found in Greece, Egypt, the Inca Empire, Mesopotamia, the Aztec Empire, etc. In the aspect of passive solar energy, it is worth noting the role of the Greeks who were the first in history to design their houses to take advantage of sunlight, probably from 400 BC. Another important moment in the history of solar energy was the Roman era. During the Roman Empire began to use glass for the first time in the windows to take advantage of the light and trap solar heat in their homes. They even enacted laws that penalized blocking access to light to neighbors. The Romans were the first to build glass houses or greenhouses to create suitable conditions for the growth of exotic plants or seeds that they brought to Rome from the far reaches of the empire. Another form of solar use was initially developed by Archimedes. Archimedes was a physicist, engineer, inventor, astronomer and Greek mathematician, who among other things developed siege machinery. 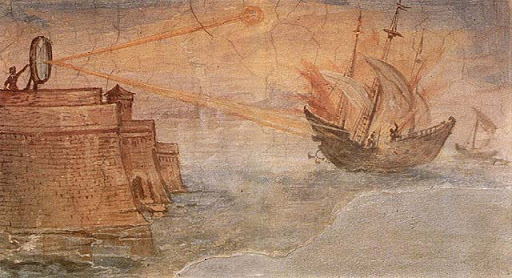 Among his military inventions he developed a system to set fire to the ships of the enemy fleets using mirrors to concentrate the solar radiation at a point. The idea of the use of mirrors continued being used in later centuries for the burning of trees and the smelting of metals, among others. 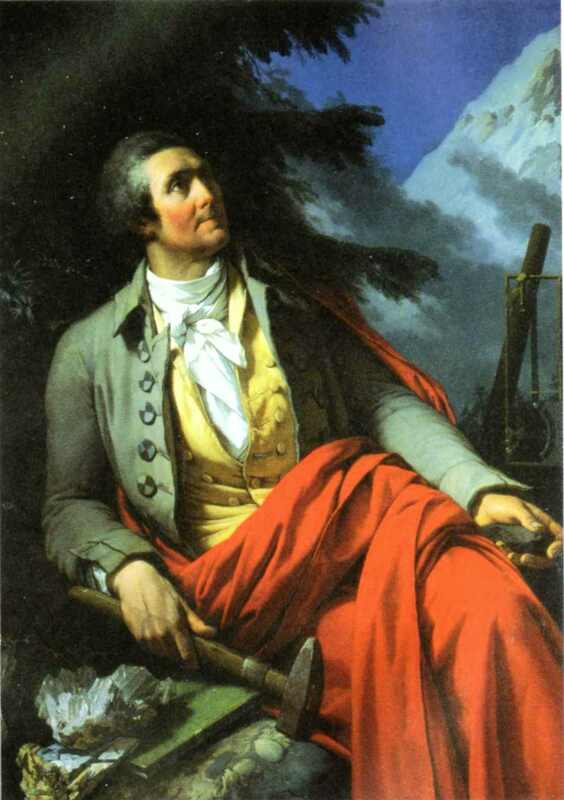 This technique continued to be perfected; Lavoisier the great French chemist, I believe in 1792 his "solar oven" consisting of two powerful lenses that concentrated the solar radiation in a focus and that allowed to reach high temperatures with which to melt metals, as would be the case of the invention of Lavoisier. Lavoisier was a French chemist, who in 1792 created his "solar oven". This furnace consisted of two powerful lenses that concentrated the solar radiation in a focus and that allowed to reach high temperatures with which to melt metals. In 1874 the Englishman Charles Wilson designed and directed an installation for the distillation of seawater in the Atacama Desert (Chile) for the Saltpeter Lastenia Salinas. This solar power station had the capacity to desalinate an average of 22500 liters of water per day. Solar thermal energy has a place in the history of solar energy since 1767. In this year the Swiss scientist Horace Bénédict De Saussure (physicist, geologist and mountaineer) invented the helioterometer, an instrument with which could measure solar radiation. The further development of his invention gave rise to the current instruments for measuring solar radiation. Horace Bénédict De Saussure had invented the solar collector that will have a decisive impact on the history of solar energy and the development of low-temperature solar thermal energy. From his invention will emerge all the subsequent developments of solar flat plate water heaters that have provided hot water to millions of people in the world. In fact, De Saussure was also able to develop the first solar collector. These were "hot boxes" made of wood and glass with the aim of catching solar energy. It would be the first collector of solar thermal energy. More recently, in 1865, the French inventor Auguste Mouchout was able to create the first machine capable of converting solar energy into mechanical energy. The mechanism was to generate steam through a solar collector and move an engine by its pressure. In 1877 Mouchout was commissioned to install several of these turbines in French Algeria. Unfortunately, the high costs prevented his invention from being used commercially. Several years before, in 1515 Leonardo da Vinci started a project similar to that of Mouchout to produce steam and industrial heat with solar radiation, but finally the project was left unfinished. Mouchout was an important character for French society. In addition to creating the first solar steam engine he devised other inventions. Mouchout invented a solar cooker that consisted of a black tank covered with glass exposed to the Sun. On the side of the tank that was not exposed to the Sun, placed a cylindrical parabolic mirror to reflect the solar radiation. It was even possible to invent a printing press powered by solar energy. An invention that was devised by Abel Pifre. In 1838, photovoltaic solar energy appears in the history of solar energy. In 1838 the French Alexandre Edmond Becquerel discovered the photovoltaic effect for the first time. Bequerel was experimenting with an electrolytic battery with platinum electrodes and realized that when exposed to the Sun, the current increased. It was the beginning of photovoltaic solar energy. The next step was taken in 1873 when the English electrical engineer Willoughby Smith discovered the photovoltaic effect in solids. In this case about Selenium. A few years later, in 1877, the English William Grylls Adams professor of Natural Philosophy at King's College London, together with his student Richard Evans Day, discovered that when they exposed selenium to light it generated electricity. In this way, they created the first selenium photovoltaic cell. In 1953, Calvin Fuller, Gerald Pearson, and Daryl Chapin, discovered the silicon solar cell. This cell produced enough electricity and was efficient enough to operate small electrical devices. These photovoltaic cells were of great importance in the future of the history of solar energy. The first commercially available solar cells did not appear until 1956 although the cost was still very high for most people until about 1970, when the price of solar cells drops by about 80%. The solar cells were used in the US and Soviet satellites launched since the late 1950s. The use of solar energy lost importance at a time in the history of solar energy. Solar technology was adversely affected by the low cost of fossil fuels and the use of non-renewable energies. The growth of the solar industry was high until the mid 50's. 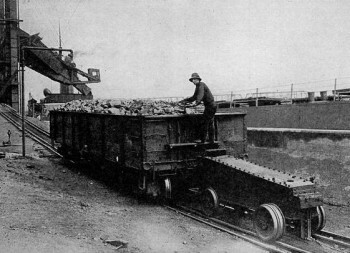 At this time the cost of extracting fossil fuels such as natural gas and coal was very low. For this reason, the use of fossil energy became of great importance as an energy source and to generate heat. S then considered, solar energy as expensive and was abandoned for industrial purposes. At this time in history there was no awareness of the negative effects on the environment of the use of fossil fuels and the greenhouse effect was not yet a problem for the Planet. The abandonment, for practical purposes, of solar energy lasted until the 70's. The economic reasons would put solar energy back in a prominent place in history. But in those years the increase in the price of fossil fuels from oil and natural gas led to a resurgence in the use of solar energy to heat homes and water, as well as in the generation of electricity. In addition to the price, in the case of household gas and coal water heaters, they were dangerous since poor combustion could generate toxic gases, carbon monoxide. The first solar hot water heater was patented in 1891 by Clarence Kemp. In this sense, an important development was a highly efficient solar heater invented by Charles Greeley Abbott in 1936. The solar water heater became popular by this time in Florida, California and other places in the US. The 1990 Gulf War further increased interest in solar energy as a viable oil alternative.